Maybe not “wool of bat,” but did you know that “blood of bat” is considered a medicine?In a way, it’s poetic justice. Vampire bats are known for sucking the blood of humans, cattle, and other animals. Now humans are turning the tables. They are drinking the blood of bats in the misguided belief that it has health benefits. No, really! This might sound like a joke, but it has been widely reported in reliable sources such as National Geographic. National Geographic reports that in the Andes, traditional folk medicine includes the belief that bat blood can treat epilepsy. Despite the fact that there is no scientific evidence to support that claim, people continue to use bat blood for epilepsy. Luis Aguirre, head of the Bolivian Bat Conservation Program, says he gets calls requesting bats at least five times a year from as far away as France. Blood is seen as a strong life force that can transfer its qualities to those who consume it. Bats are seen as powerful creatures with unique characteristics; they are mammals who can fly. It’s magical thinking. 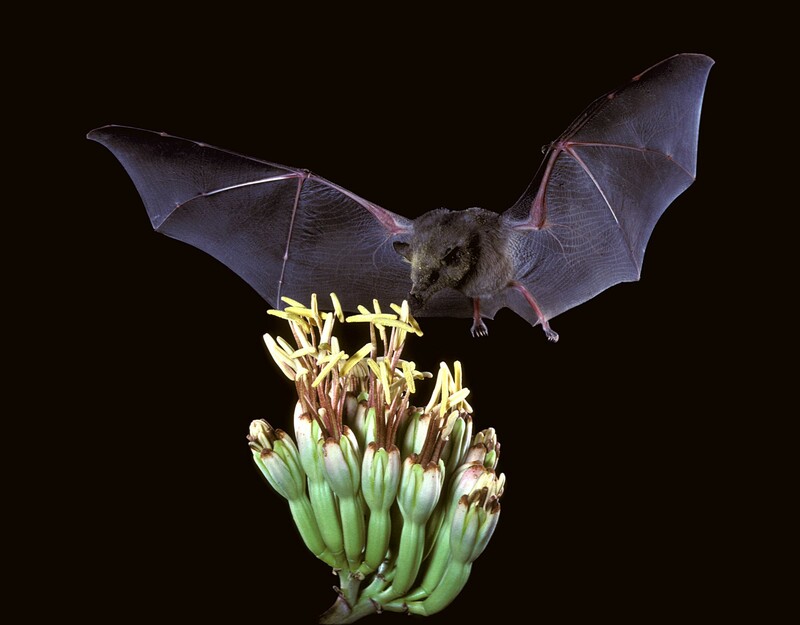 National Geographic reports two ritual ways of using bat blood. “Typically, a bat would be obtained alive, its head chopped off, and the blood drunk fresh.” But if the bat is already dead, they can “fry the bat with its fur on and place it in a cloth bag that would then be soaked in alcohol for future quaffing.” I can’t imagine that either method of consumption would be very palatable. Never mind that it’s illegal. Bolivian law prohibits the killing or sale of any wild animal without proper permits, and offenses are punishable with up to six years in prison. But bats for sale are still easy to find. Research published in 2010 found that more than 3,000 bats were illegally sold every month in just four major Bolivian cities. The researchers comment that that is probably an underestimate since not all bats were located by the researchers and some vendors refused to cooperate. The species sold included fruit bats, insect-eating bats, and, yes, vampire bats. Dead bats cost the equivalent of 93 US cents; live ones cost $2.47. Bats are vitally important to the ecosystem. Some plants rely on them to disperse their seeds or pollinate their flowers. They help control agricultural pests. Their guano is a valuable fertilizer. They eat mosquitoes and other arthropods that can carry parasites and malaria. The fewer bats there are, the greater the chances that humans will get yellow fever, Zika virus, malaria, and other diseases. Conservationists have found that more than 60 percent of Bolivia’s known bat species are threatened to some degree, and one species is endangered. Some of the rarer species are becoming extinct in some ecosystems. The biggest threat is logging and habitat destruction. Bats are sadly misunderstood. They are reviled as dirty, ugly, rabid, and portents of bad luck, and people hunt and torture them. Conservationists are using outreach educational programs to teach children about bats under the premise that once people get to know bats, they will like them and help protect them. There is no evidence that bat blood has any benefits for human health. On the contrary, people who drink bat blood actually face direct health risks. Vampire bats are the best vectors of rabies, and while the blood itself is not likely to transmit the infection, handling rabid bats could easily transmit it, and bats can carry and transmit other pathogens. At least the names of bats are entertaining. In Spanish they are murciélagos (blind mice); I love the sound of that. In French they are chauve-souris (bald mice). In German, a bat is a Fledermaus (flutter mouse). Die Fledermaus is the title of a Strauss operetta. But the idea of drinking bat blood is a terrible idea, hazardous to health and to the environment. The very thought is repulsive, and the taste is probably disgusting. It’s a bad idea—batty any way you look at it.